Fr. James Meysenburg was ordained a Catholic priest May 27, 1989 at the Cathedral of the Risen Christ. In addition to his administrative duties at Pius X, where he has served since 2007, he is in residence at St. Joseph Parish in Lincoln. He had been in residence at the Cathedral for the past four years. Fr. Lee Jirovsky grew up in Seward and attended UNL before entering St. Gregory the Great Seminary. After completing his Masters in Divinity from Mount Saint Mary’s he was ordained by Bishop Bruskewitz in 2006. Since then Fr. 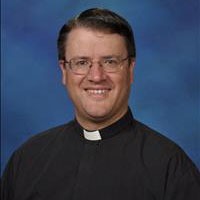 Jirovsky has served in Plattsmouth, Lincoln, and Hastings as a priest, teacher, and administrator. 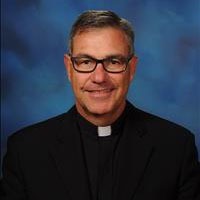 He served 4 years as Principal of St. Cecilia in Hastings while completing his Master’s in Educational Administration through the University of Notre Dame Remick Leadership Program. Fr. Jirovsky was appointed by Bishop Conley in 2015 to be Assistant Chief Administrative Officer at Pius X to Fr. Meysenburg and is in residence at Sacred Heart Parish in Lincoln. Tom Korta is the husband of Jill Noel (’83) Korta and father of four. He is a member of the Cathedral of the Risen Christ parish, where he serves as a lector, acolyte and extraordinary minister of the Eucharist. Tom earned his bachelor’s degree in secondary education in mathematics from the University of Minnesota in Minneapolis, his master’s degree in educational administration from the University of Nebraska in Lincoln, and is pursuing his doctorate degree in Catholic educational leadership from Catholic University of America in Washington, DC. He taught for four years in Fort Collins, Colorado before moving to Lincoln in 1994. Since then he taught math at Pius for five years, was an assistant principal for seven years, and has served as principal since 2006. Greg Lesiak grew up in Columbus, NE and graduated from Scotus Central Catholic High School. He attended Kearney State College and received his Bachelor’s Degree in Math Education from the University of Nebraska-Lincoln in 1993. After teaching for one year at Lindsay Holy Family in Lindsay, NE, he moved to Lincoln to teach Math at Pius. 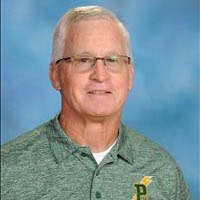 He taught Math and coached Volleyball and Boys Basketball for 15 years, before receiving his Master’s Degree in Educational Administration from UNL and accepting the position of Assistant Principal at Pius. Greg has been married to Cassandra since 1995, and is the father to Isabella (Izzy), Dominic, and Jackson and is a member of St. Michaels Parish. Terry is in his first year at Pius X High School. He graduated from Wayne State College with a masters degree in Education Administration in 2007. He recently served as K-12 principal at Hartington Cedar Catholic where he graduated and has worked there since 1991. He was a teacher, activities director, elementary school principal (beginning in 2006) and then added the high school principal role in 2010. He and his wife have two sons at the University of Nebraska – Lincoln, and they are looking forward to moving to Lincoln. 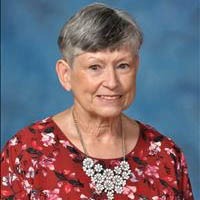 Jan Frayser has been in education for 43 years. After receiving her Bachelor’s Degree from Chadron State College in Chadron, Nebraska, she taught theatre, music and speech in high schools in Nebraska, Kansas and Colorado. She received her Master’s Degree in Secondary School Counseling from the University of Northern Colorado. For the past thirty years, she has been blessed to be the Director of Guidance at Pius X High School. Tim Aylward has been the school’s athletic director since 2016. Prior to that, he was the school’s football coach for 31 years, and is a member of the Athletic Hall of Fame.